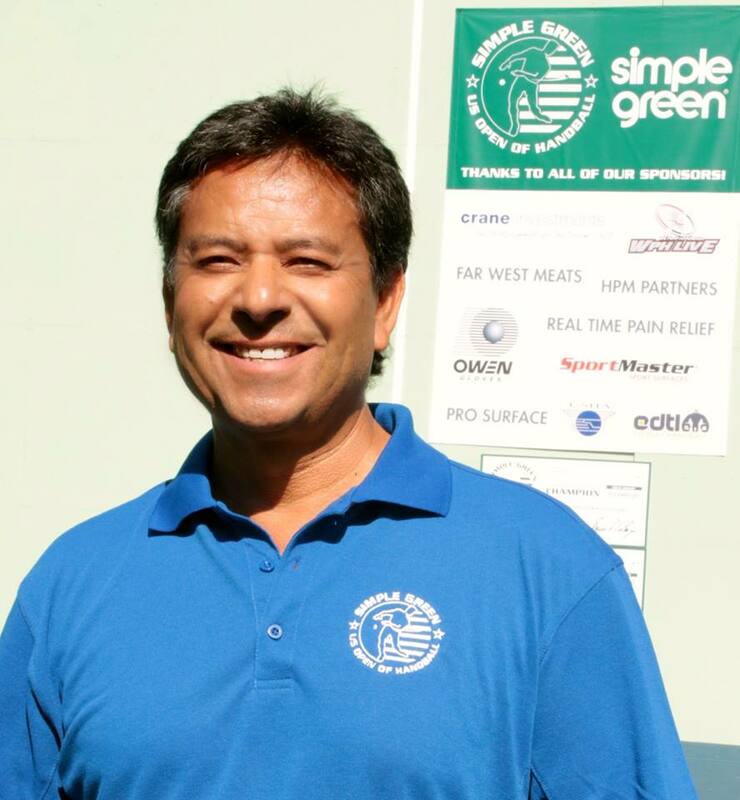 The Simple Green US Open of Handball & WPH Race4Eight Stop #1 (25th Naty Alvarado Classic Celebration) is this weekend (October 22nd-25th, 2015 @ Los Cab in Fountain Valley, CA)! Best players in the world at the premier handball complex on the planet; lead by Paul Brady, Aisling Reilly, Timbo Gonzalez, Danielle Daskalakis, Juan Santos and headline grabbers like Sean Lenning, Catriona Casey, Sandy Ng, Samzon Hernandez, Robbie McCarthy, Kadeem Bush, Tywan Cook, Emmett Peixoto, Tracy Davis and more! Watch the LIVE action w/WPH Film Crews capturing all the action. Watch @ www.race4eight.com and share the link with your handball playing friends. 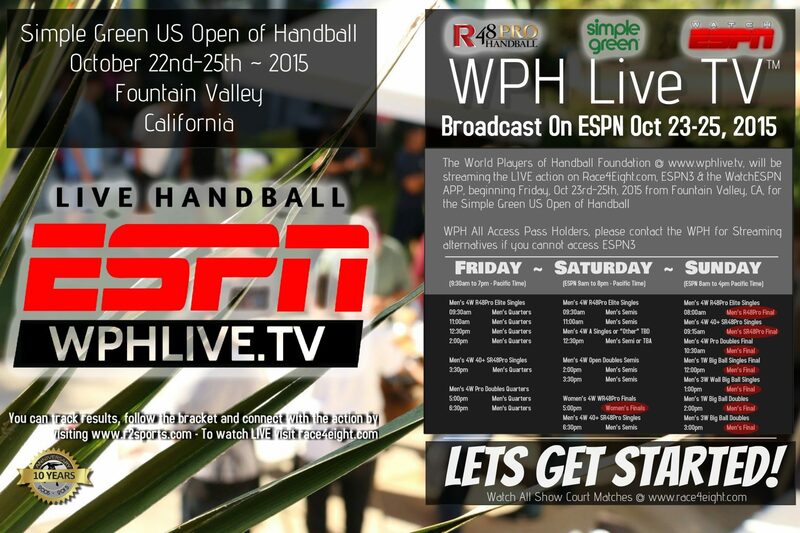 WPH Live TV will be activated on Friday, then on ESPN3 on Saturday & Sunday w/the WatchESPN app.